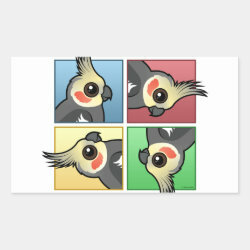 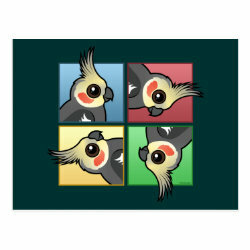 A Birdorable Cockatiel face is repeated in a four-square pattern, Warhol-like. 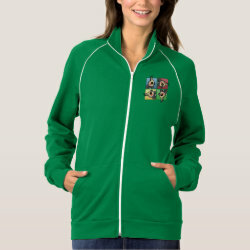 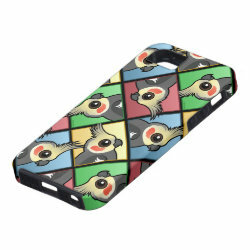 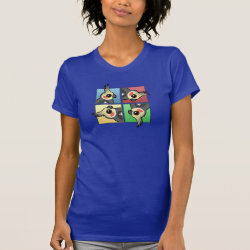 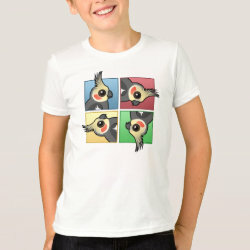 Four bold colors are the backdrop of this original pop-art style design. 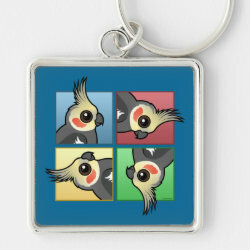 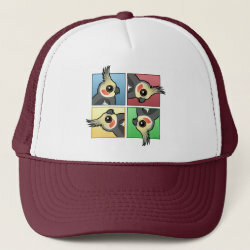 The cute birds are rotated through the design - mimicking the acrobatic stylings of this charismatic species! 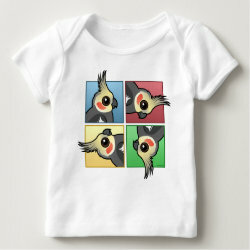 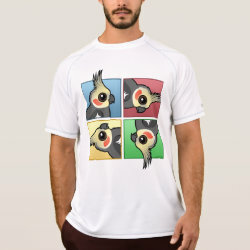 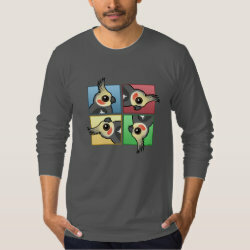 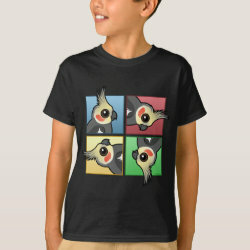 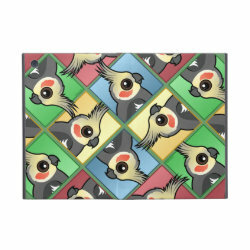 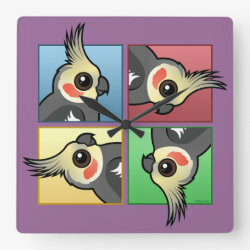 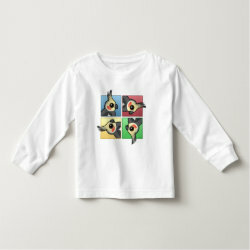 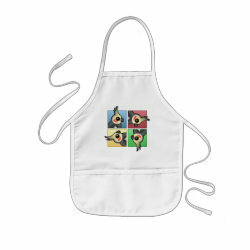 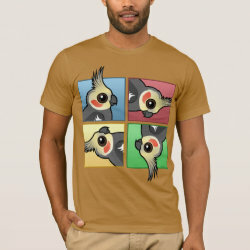 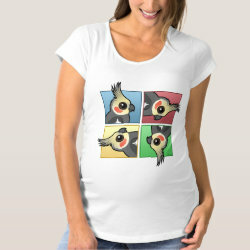 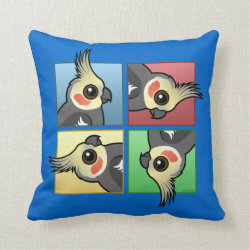 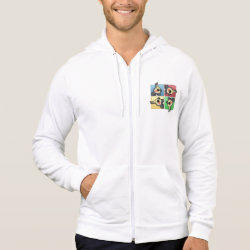 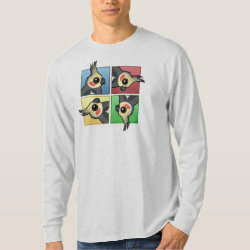 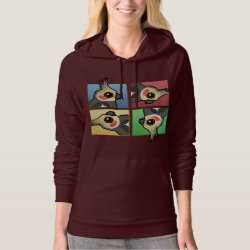 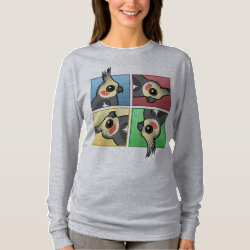 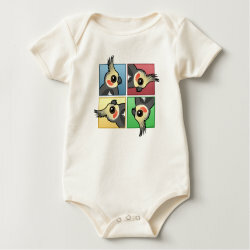 This Birdorable original makes a great gift for anyone that loves Cockatiels!